The L.A. city attorney filed the suit against Eco Solar Home Improvement of Montebello and affiliated companies. 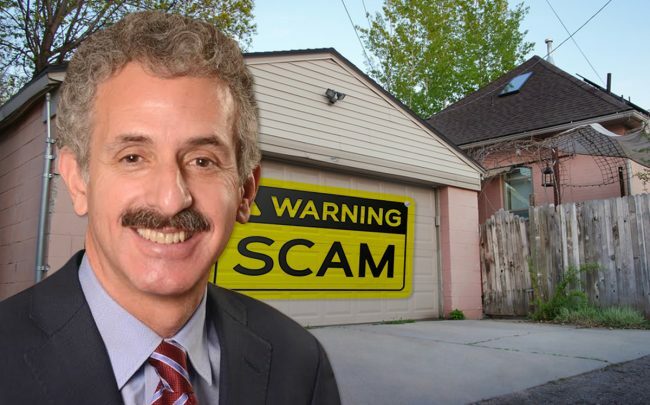 The Los Angeles Times first reported on the filing, which City Attorney Mike Feuer announced Thursday. The city charges that Eco Solar pushed homeowners into taking out government-backed loans they could not repay in order to fund the conversion of garages into accessory dwelling units, or granny flats. Once they received their money, the companies abandoned those projects, according to the city. The contractors pressured homeowners to apply for loans through the Property Assessed Clean Energy federal program, the suit contends. Those PACE loans are provided by private lenders and facilitated through local government authorities, but the contractors typically sign up homeowners. Critics say contractors regularly mislead homeowners about how the loans work in order to get them to apply. The PACE loans are meant to fund clean energy improvements. Los Angeles legalized granny flats last year as another way to ease the housing crisis. Homeowners can pull in extra cash renting out the units, but they’re not eligible for PACE loans. The city alleges that Eco Solar pressured homeowners to provide false information, signed up some homeowners for loans without their knowledge and targeted Spanish-speaking homeowners.